I’m thrilled to have a finished quilt to show you! I first designed and made the original Trill quilt in 2014 (!) for fall Quilt Market. 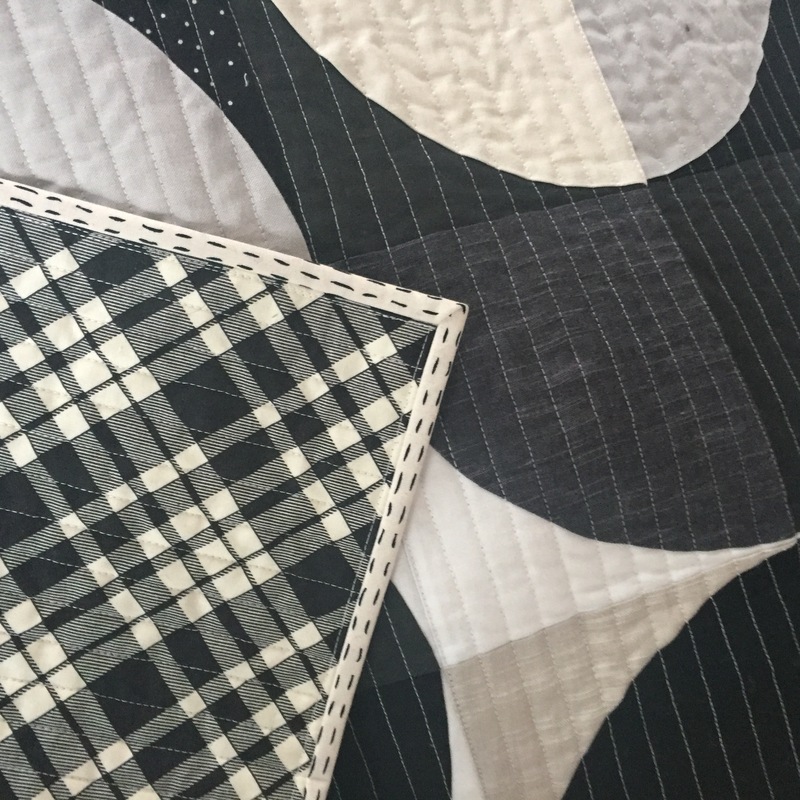 I used it as my favorite couch quilt until I gave it to a lifelong family friend in a time of need, so when I was asked to teach the pattern at DCMQG, it was time to make a new quilt in a different flavor. I had wanted to make one in solids ever since a pattern tester had made one in a groovy warm palette. I picked shades of black and white. I’ve been hoarding neutrals for a long time for various potential projects until I had this very impressive stash of shades of black and white. 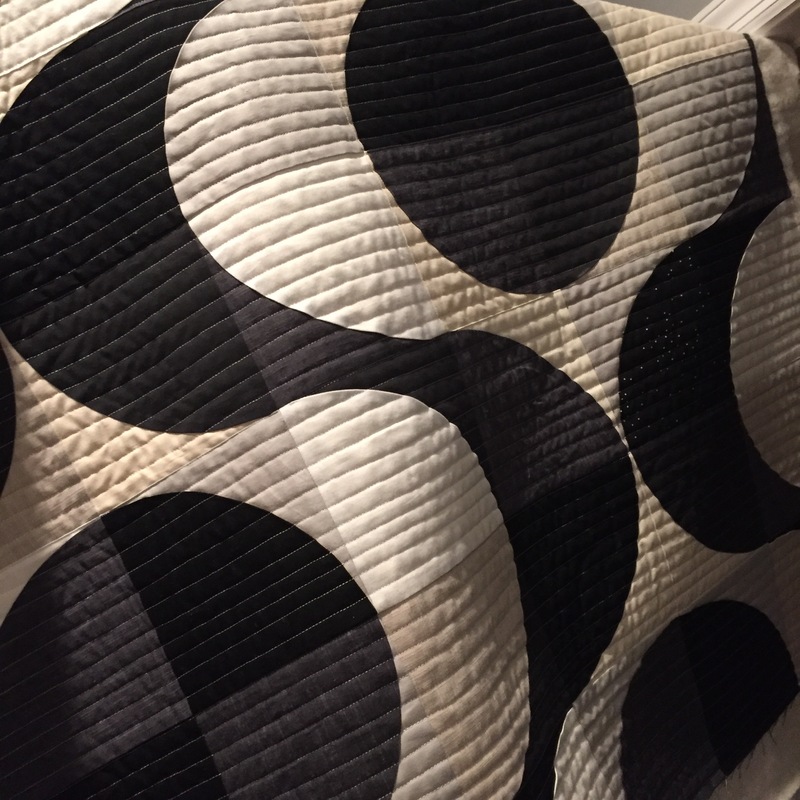 It was quite liberating to just pair a piece of black fabric with a white one and leave the overall placement in the quilt to the design wall phase. I finished the top in time for my DCMQG workshop and quilted it last week. The back is a great black and white plaid from Denyse Schmidt’s Eastham collection and the binding is from Moda. The quilting is about 1/2″ straight lines in a cream Aurifil 50wt thread. Black and White Trill will hang in the NJMQG exhibit at NJ Quilt Fest March 3-5. I’ll be teaching more Trill workshops in 2017– it’s a skills class in which we talk about sewing curves, glue basting, how trimming can enhance accuracy, blending curves together, and precision patchwork. We use Jen Carlton-Bailly’s quarter circle templates and also talk about other curvy design shapes and inspirations. If you’d like to book a workshop, email me at melintheattic at gmail dot com. I love the quilting on this quilt! It gives it depth. Love the design and the quilting. Very nice looking! I think your backing and binding choices are inspired. This quilt is outstanding! The colors are so calm but stand out brilliantly! Love it! Beautiful. I love the design and colors! Congratulations! It is lovely and takes my breath away. What a great quilt, Mel. So striking and the the quilting enhances it. I am a lover of black and white designs so I found this exceptionally pleasing! This quilt is just gorgeous. I didn’t realize what it was or how it was created until I looked at the close-ups. Just fabulous! Just wonderful! 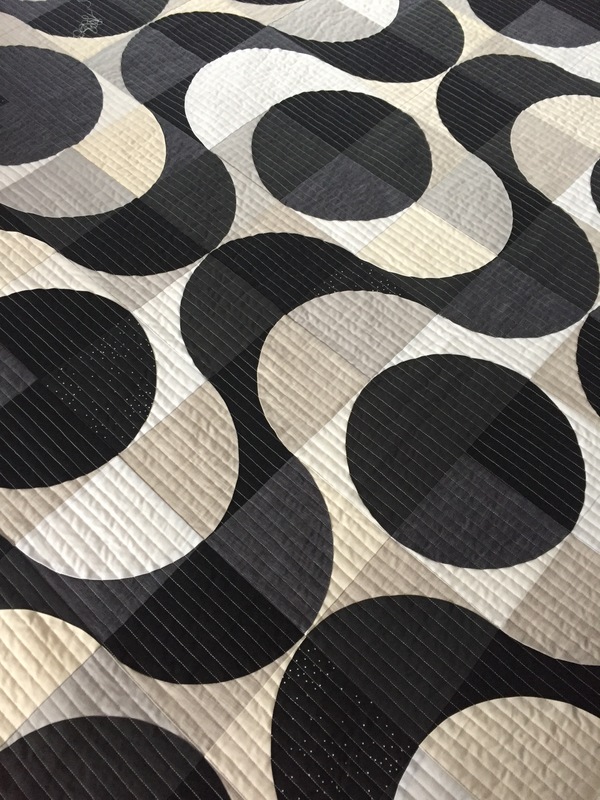 I love the curvy patchwork with the straight line quilting and the black & white design. 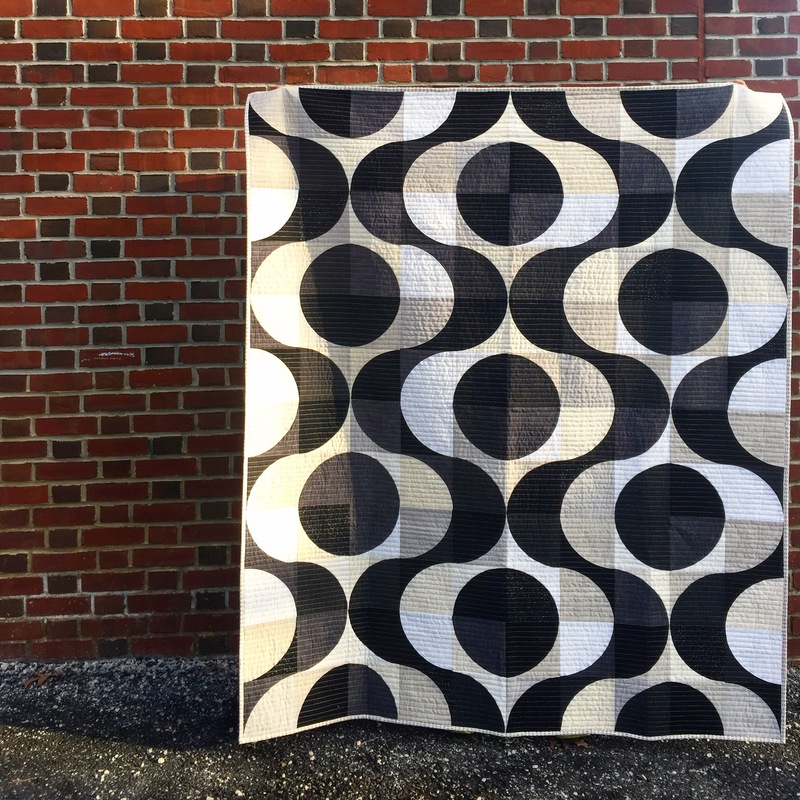 Love this quilt, especially the black and “white” version!! Great design, the perfect quilting, fabulous choice for the backing and binding!! There is so much power and energy in this quilt!! I agree that leaving the layout decision until after the blocks are made can be such a liberating way to approach a project. The color palette is great, and the backing is a perfect counterpoint to the front. Lovely to see you (albeit briefly) this week!